Many of you who follow us and have been to some of our events know how crazy we are about flax and linen. For those of you who are new… did you know that linen and cotton are from completely different plants, and made from different parts of those plants? Linen is made from fibres in the skin of the flax plant! Did you know that flax grows readily in northern climates, while cotton does not; and that flax is one of humanity’s oldest know agricultural crops? We’ll be exploring the wonder of the flax-to-line process and some of the stories and mythology that surround it in two Free, Family-Friendly events next weekend – outdoors, so dress for the weather! Register: Ross Moster at ross@villagevancouver.ca or on the Village Vancouver website. 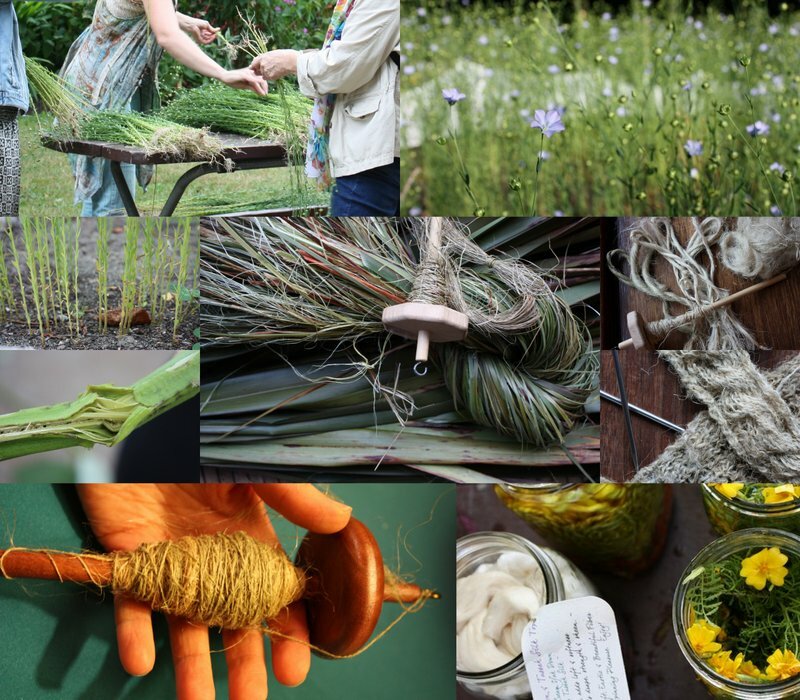 Previous Post Fall 2015 Urban Weaving Retreats are posted! Next Post new video just released!